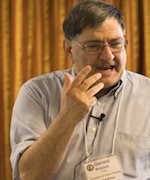 Dr. Gerald Nosich is an authority on critical thinking and Senior Fellow of the Foundation for Critical Thinking; he has given more than 150 national and international workshops on the subject. He has worked with the U.S. Department of Education on a project for the National Assessment of Higher Order Thinking, has served as the Assistant Director of the Center for Critical Thinking, and has been featured as a Noted Scholar at the University of British Columbia. He is Professor Emeritus at the University of New Orleans and at SUNY Buffalo State, and is the author of two books, including Learning to Think Things Through: A Guide to Critical Thinking Across the Curriculum . Dr. Paul Bankes For more than 10 years, Dr. Bankes has played an important leadership role in fostering the Paulian conception of critical thinking in instruction across his district. As a principal, he led the implementation of this critical thinking approach to achieve state-recognized levels of achievement in three different Title I schools - a high school, a middle school, and an elementary school. He helped author the reasoning portion of the Colorado Academic Standards that are based on the Paul-Elder framework. 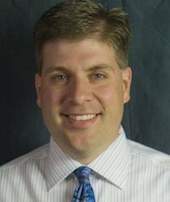 In addition to his administrative experience, Dr. Bankes has taught courses at the college level in critical thinking and served as an elementary teacher.